Rate this Article Here are a handful of horses, some modern and some from the past, that we think have done enough to merit their own video game. 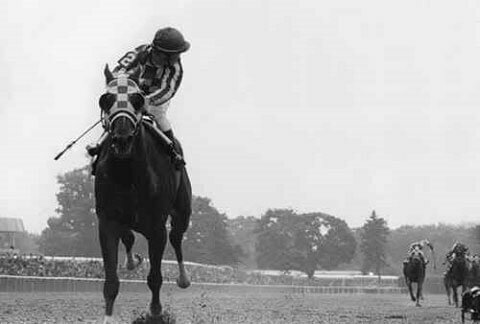 Arguably the greatest racehorse in history, Secretariat stands out not just as a Triple Crown winner (a feat in itself), but due to the way he won the Belmont Stakes. A 31-length victory in one of America’s great races is simply stunning. There isn’t enough space to go through all Secretariat’s accolades here. Put simply, we should regard the horse, like Wayne Gretzky, as ‘the Great One’. 2018 winner of the Triple Crown, Justify is only the second to achieve the feat and retire with an undefeated record. He will earn ridiculous money in stud fees in the coming years, but he wouldn’t look out of place as the face of his own horse racing game. Justify was also named American Horse of the Year in 2018. The upcoming Cheltenham Festival (12th-15th March) sees lots of interesting favorites: Presenting Percy 3/1 (Bet365) for the Gold Cup, Buveur D’Air 7/4 for the Champion Hurdle and Paisley Park 5/2 for the Stayers’ Hurdle, all of whom can be backed with these Cheltenham offers 2019. However, they all pale in comparison to Altior, who is chasing his 18th consecutive win as 4/11 favorite for the Champion Chase. He is the undisputed king of British horse racing right now. Indeed, Arkle is so beloved by British horse racing fans that the Cheltenham Festival has a race named after him, which they simply call “The Arkle”. The wonderful Lalor is the favorite for the Arkle race next month at 5/1 (Bet365), but he will have to go along way to match the feats of the race’s namesake, who won three Gold Cup among other feats. The aforementioned Justify is hailed as a modern great, after winning six from six races and then retiring. How does Black Caviar compare? Well, the mare won a whopping 26 out of 26 races before hanging up her saddle in 2013. Probably the greatest female horse in history. 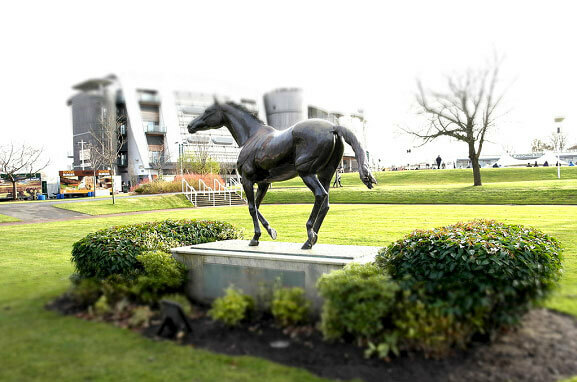 The Grand National is notoriously hard to win just once. 2018 champion Tiger Roll is priced at 25/1 (Betfair) to win it again in 2019, a feat that would be seen as completely remarkable given the grueling challenge of tackling 4 miles, and of course, 39 other competitors and 30 huge fences. However, Red Rum managed to win Europe’s richest handicap race three times in the 1970s. It’s not stretching it to say that no horse will ever match that record. The thing about computer games is that they will have measurements of things like speed, power, and agility to show you who the best horses are. In real life, those things are measured too. Both Timeform and the World Thoroughbred Racehorse Rankings gave Frankel their highest ever ratings, 147 and 140 respectively, for any horse they have ever measured. He has claims to challenge Secretariat as the greatest racehorse we have ever seen.